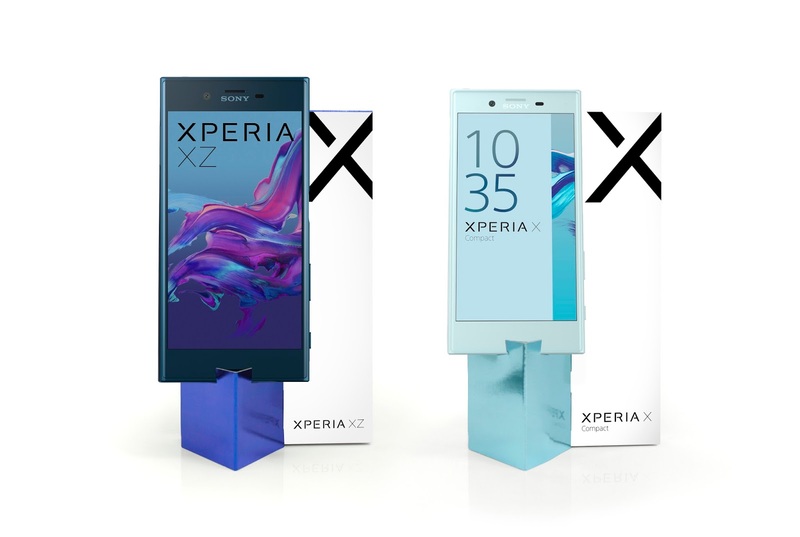 To promote the worldwide retail launch of Sony’s new Xperia™ XZ and Xperia X Compact, the Swedish advertising agency Adentity has created an eye-catching new POS inspired by precious stones. The innovative new “Uplift” concept enables retailers to effortlessly transform the logistics-efficient transport box into an in-store showcase. 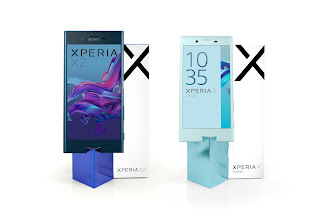 Taking its design cue from gems, metallic foil accents reflect the gem-like appearance of the lead models – the Sony Xperia XZ hero model in forest blue and the Xperia X Compact in turquoise, as well as the high quality of Sony’s latest mobile phone. 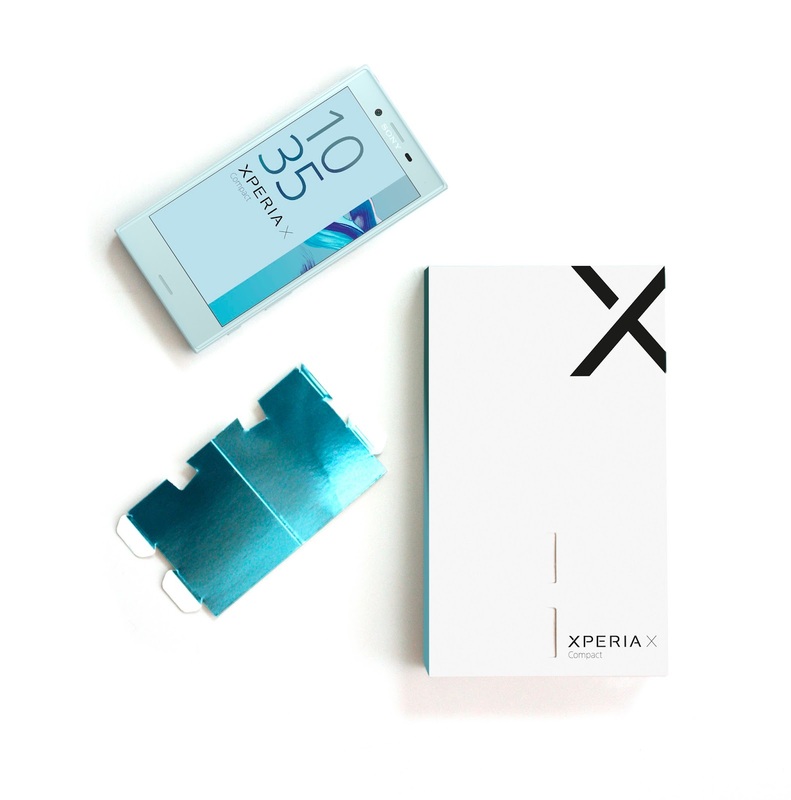 The new concept is streamlined, placing greater emphasis on the product. 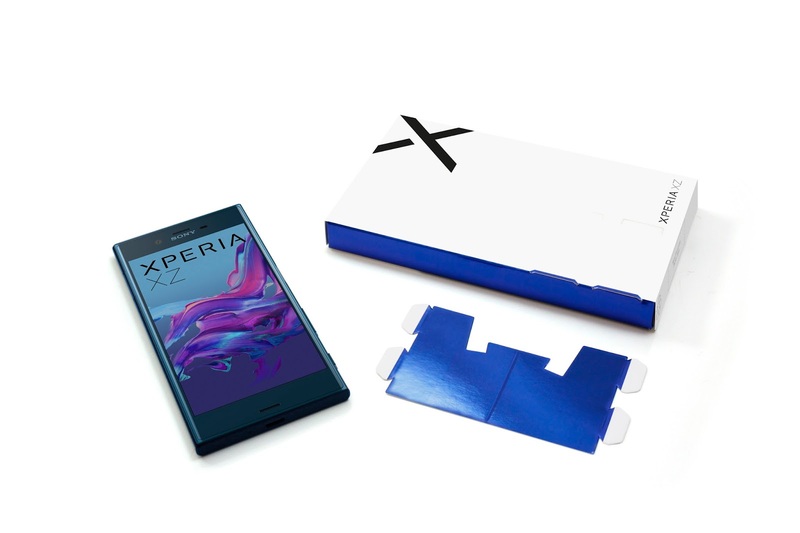 The slim profile and fold-out platform elevates the phone to meet the shoppers’ sight, while minimal graphics allow the eye to focus on the device. 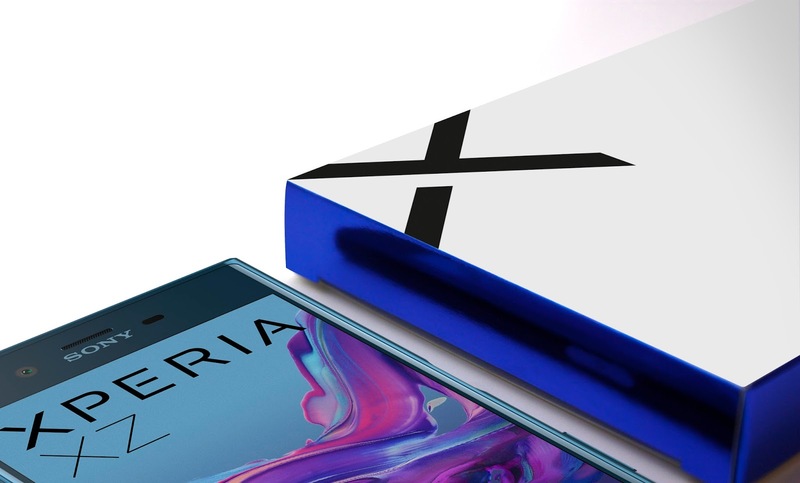 In addition, the left hand positioning of the phone rest offers a clear view of Sony Xperia’s official “X” logo.